This post is part of the Stretch Yourself Series hosted by Miriam of Mad Mim and Miranda of One Little Minute. This two week series is ALL ABOUT the love of knits, so go check it out! Here she is – the Paulie Pocket Top! 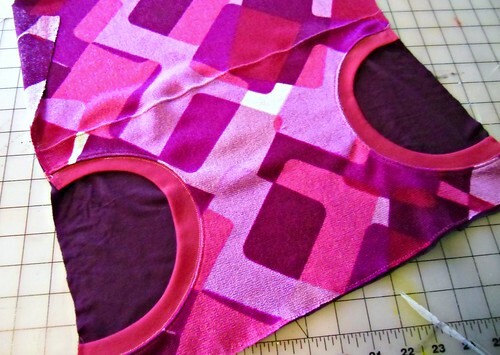 You will need 3 different kinds of fabric to make this – something for the majority of the shirt (in whatever yardage you need to make your top), something to line the back of the pocket with (half a yard or so should be enough), and scraps for the pocket binding. 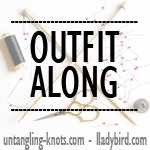 For the binding, you don’t want to use anything that is too thin/floppy, or it’s not going to sit right – try something with a bit more body, like ribbing or a cotton knit. 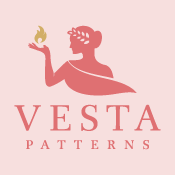 Don’t forget your pattern! You can download it here. The edges of the paper are part of the band pieces; the lines just didn’t transfer over during the scan. Be sure the test square prints out to 4″x4″ (or 10cmx10cm, if you fancy). 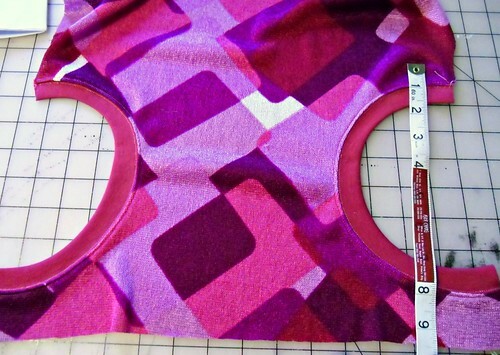 The stretch guide is there for the binding fabric – you just want to make sure the 4″ piece stretches up to the length provided (or else your binding will not fit in the cut-outs). 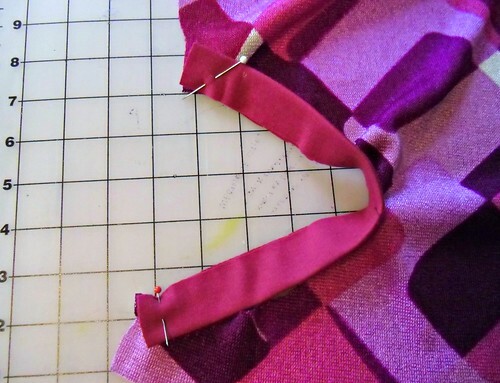 If it stretches more or less, that is fine, but you will need to adjust your pattern pieces accordingly. 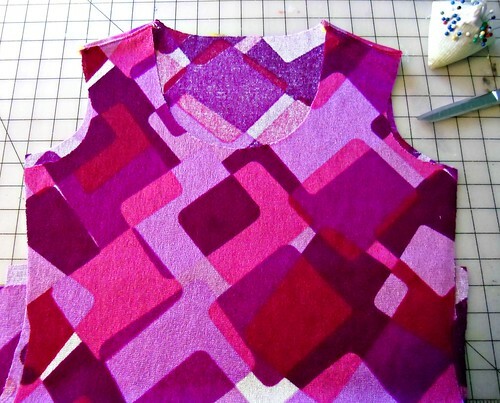 Cut all your pattern pieces from the main fabric as normal. For this tutorial, I am using the Renfrew pattern. Sew the shoulder seams as instructed (you don’t *have* to sew the shoulder seams first, but I like to because it helps with pocket placement – you can pull the shirt over your head and double-check in the mirror). Now push the back of the shirt out of your way. We won’t be touching it for the rest of this tutorial. On the shirt front, measure on both sides the distance from where you want the bottom of your pockets to hit, keeping seam allowance in mind. I usually go with 1 3/4″. Mark this with a pin. 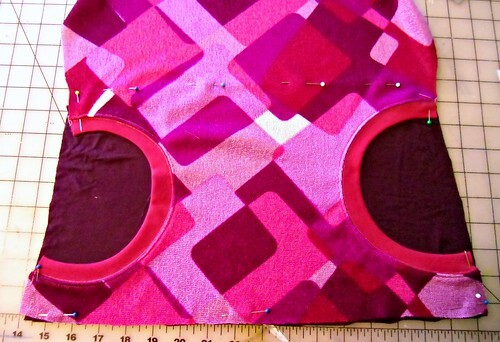 Align the bottom of the pocket template with the pin and cut from the front of the shirt only. Give the pocket piece to your cat to play with, idk. 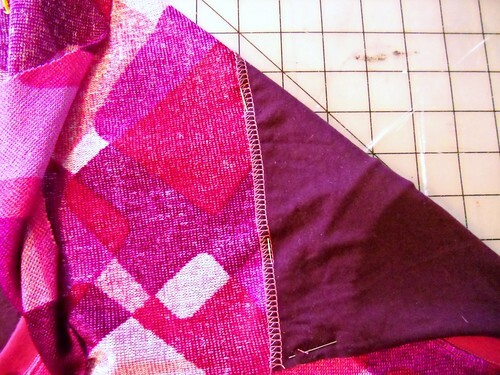 Cut 2 pieces of pocket ribbing, using the pocket band pattern piece. Pin the pocket band to the pocket opening on the outside of the shirt, matching raw edges, notches, and ends. The pocket band will be smaller than the pocket opening – this is good, we are going to stretch that band to fit and give our pockets a nice curve. Do not overpin this – 3 pins is plenty. Start by anchoring one end of the pocket band to the pocket edge, and stop with the needle in the down position. 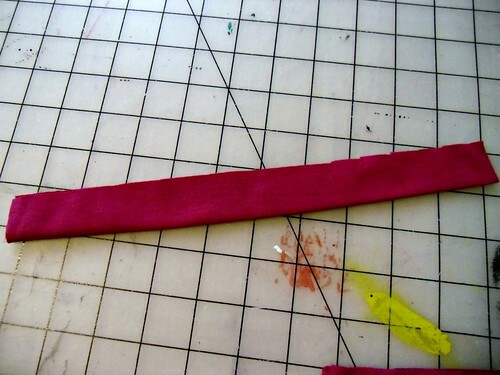 Sew the band to the edge, stretching the band to fit as you go (don’t stretch the raw edge of the pocket- just the band! It’s much easier if you position it so the band is on top). Sew slowly and take your time. We ain’t in a hurry here. 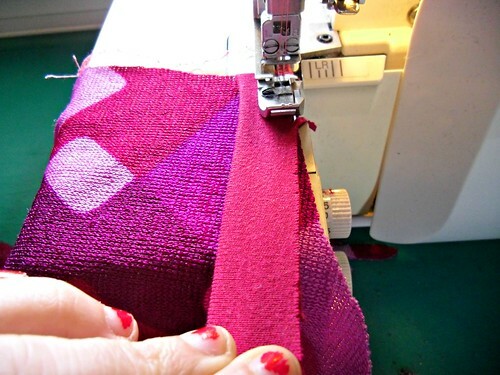 Once the band is sewn down, you can topstitch it on your sewing machine – using a twin needle or a regular ol’ zigzag stitch. You should end up with something like this. Ain’t that fancy! Let’s put a back to those pockets so our sides aren’t hanging out in the glory of the sun – unless you’re into that kinda stuff, eh, no judgement here. 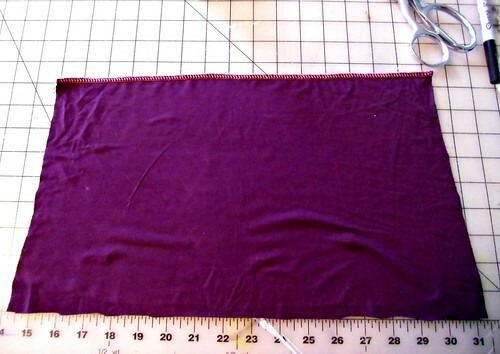 Measure from the bottom of the shirt front to about an inch above the pocket band. Mine is 9.5″, which is approximately how tall I need my pocket lining piece to be. 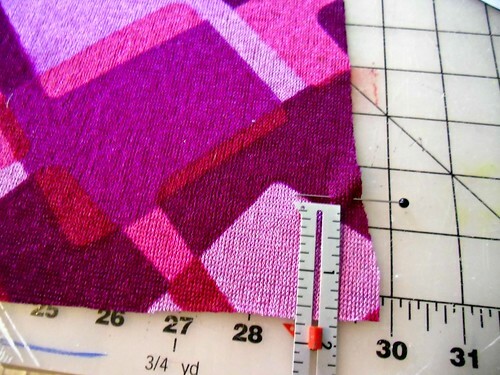 Measure that same measurement from the bottom of your shirt front pattern piece and cut that from your pocket back fabric. Lay the shirt front over the pocket lining piece you just cut, matching all raw edges. Pin along the pocket openings and shirt bottom to keep everything in place. 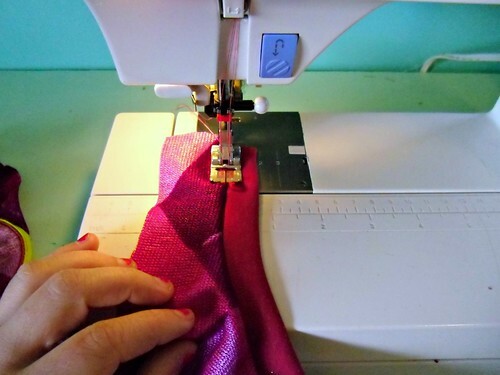 Now, using your fingers to feel the edge of the top of the pocket lining underneath, carefully pin across the front of the shirt so both pieces are pinned together. Flip back periodically to make sure you catch both layers. 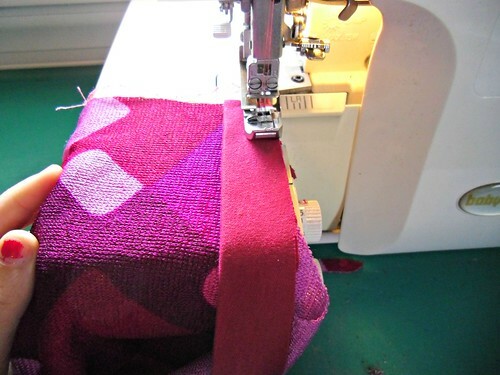 Topstitch (again – you can use a twin needle or a zigzag) along the line you just pinned. Baste the side and bottom edges together. And that’s it! 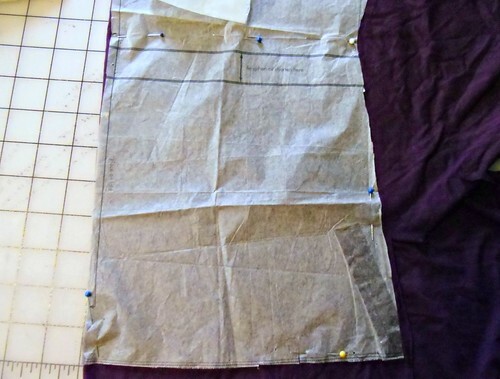 You can go ahead and sew your shirt together as instructed by your pattern – treat the pocket-ed front as one piece. this is fantastic, what a fab idea. And you make it look so simple! I love this, especially how it gives a nice subtle empire waistline to your shirt. You are so amazingly productive this month! Really, holy crap, there’s something new like every day! Very inspiring. This is a really cute idea. 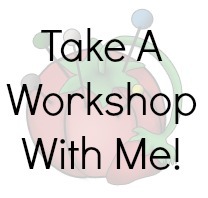 I am thinking of using it on a fleece top. After all it is winter in Minnesota! Your fabric is so deliciously cute! I LOVE pockets! What a great idea. Thanks for the tutorial. Oh, I really like this one! 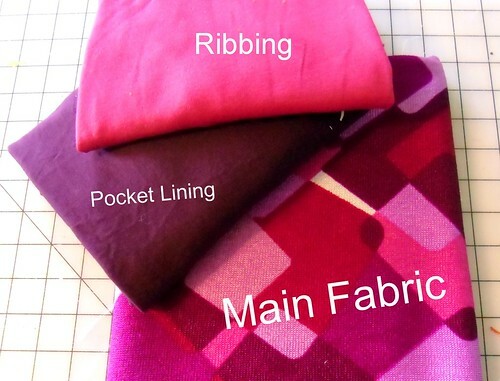 The fabric is way too much fun – love the pink on you! Very cute, fresh and fun! Renfrew is such a great base pattern. I love the modification of the pocket. I don’t know that the style is me exactly, but it’s an idea to tuck away. I wouldn’t have thought of making that change. Great tutorial! I like the empire waist detail as much as the pockets. 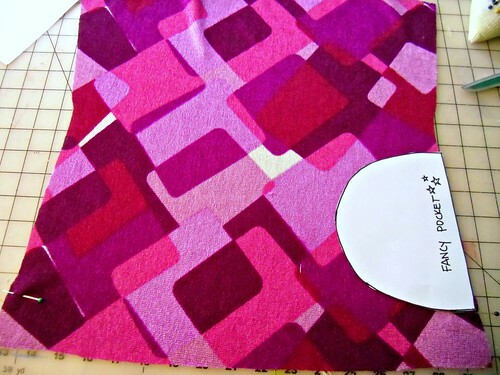 And the fabric is adorable. SO CUTE. Question: how would you make this a maternity top?? If you end up making this into a maternity top, I’d love to see! 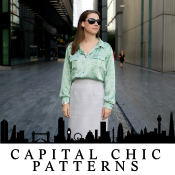 Thanks for the link–I’ll give it a whirl and let you know IF it turns out 🙂 I’m a super novice sewer when it comes to clothing but I think I’ve caught the bug from all you bloggers! I love this!! 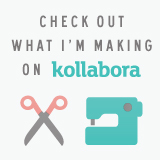 the tutorial is fantastic, the shirt is super cute, and the color is pitch perfect on you. I always sew my shoulders first to check pocket placement as well:) Thank you so much for doing this, I’m such a fan of yours! oooohhhh i love this! 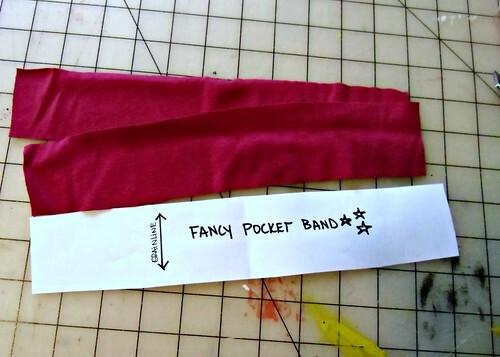 it would be especially adorable in kid-size… they really love pockets. super cute! LOVE it! I need some awesome knit tops with pockets asap 🙂 Love the fabrics you used! so adorably 70s! it looks so profesionnal, too! Very nice. I will definetly try this. Well isn’t that just sweet!! I’m going to have to give this a try since I finally just bought the renfrew pattern. I seriously love this. 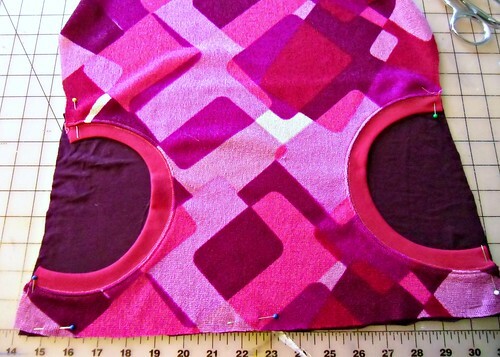 Love pockets, love purple, love it. Thank you for being super awesome! Ooooooh! That is FANCY. Thanks for the tutorial. Where did you get that amazing fabric? Is it a Mood purchase? It’s actually a piece I bought at the thrift store last summer! I wish I had a more reliable source, bc it’s such an awesome print haha. Awesome tutorial, thanks Lauren! It makes me think that I can start doing crazy things with clothes….we’ll see. This is so great, I love the shape of those pockets. I’m definitely going to try this for my daughter! This is fantastic! Thanks for the tutorial. This is so cute! Love the pocket detail. LOVE this! I love pockets like that. thanks for the tutorial. Love the top and tutorial – nicely done! 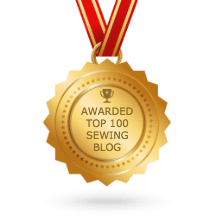 So, how are you liking the Bernina now that you have had it a little bit? Does it do well on knits, even without the adjustable presser foot? I’m looking/researching getting a new machine, so I’m very interested in yours! I did read everything you wrote just after you got it (comments and all) but after you’ve used a machine for a couple weeks or more more likes or dislikes tend to come out. KWIM? Such a big decision! Not like I buy a new machine every year. I was looking a bit at Pfaffs, but you got rid of yours and chose Bernina. I’ve read tons of good about Berninas, but then also some complaints of course, nothing ever gets 100% reviews. I am LOVING my Bernina! I’m still going through a learning curve with the knits. The walking foot (it’s not built-in, but my model came with one so I do have it) solves most, if not all, of the problems, although I will admit that sometimes I’m feeling lazy and I don’t want to put it on 🙂 Without the walking foot, I do have some issues with bunching, but I think most could be sorted out with adjusting the tension or using a different needle. Since I have the walking foot and I prefer to use my serger most of the time anyway, I haven’t really explored that realm as much as I should. One thing I really love about it that I did not see coming was the size of the bobbins – they are HUGE. Like I only need one bobbin for each project. So that is pretty awesome. I also have not had a single tension issue (apart from the knits), and the stitches are beautiful no matter what fabric I push through the machine. Also, older Pfaffs are great machines! As long as you stick with the ones made in Germany (which are 20+ years old), those machines are AWESOME. The newer ones are fine, if that’s what you have your heart set on – but they’re not made in Germany (also, I don’t care for the drop-in bobbin but that’s a personal preference), so keep that in mind if that matters to you. They are now owned by Singer/Viking. My main reason for going with Bernina is that they weren’t bought out by a lesser company, if that makes sense. Nope, wasn’t set on Pfaff at all, just wondering about why you changed. Thank you for the great answer! 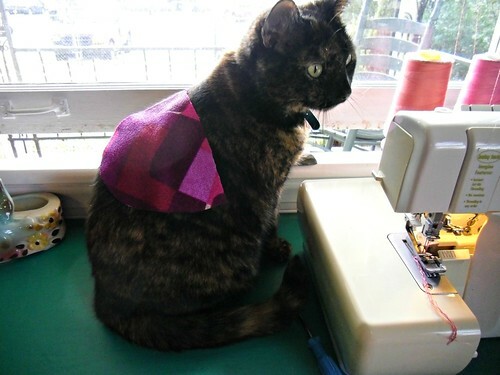 I love how the color-blocked pockets give an hour-glass-shape effect…and also, your cat is the cutest model. That is so cool and cute i just love it. thanks..
What a great tutorial! I really like the look of this top, it’s really original.